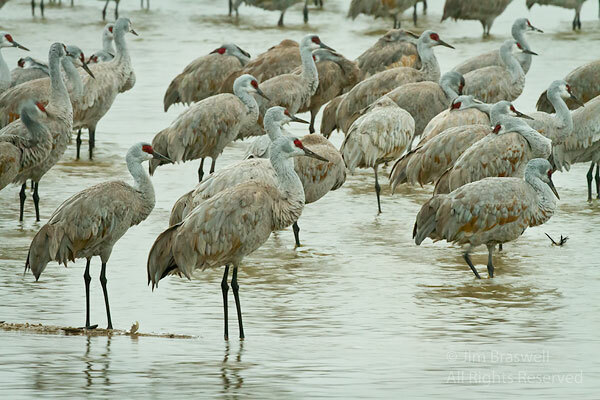 Three weeks ago, I was able to spend 5 days on Nebraska's Platte River with the migrating Sandhill Cranes (Grus canadensis). On their northward migration from their wintering grounds (in and around the Gulf Coast), they stop along a large stretch of the Platte River for 3-5 weeks as they work to put on ~20-25% of their body weight, enough to carry them through to their final destination of their summer home (northern US, Canada, Alaska, and even an adventurous few that call Siberia their summer home). 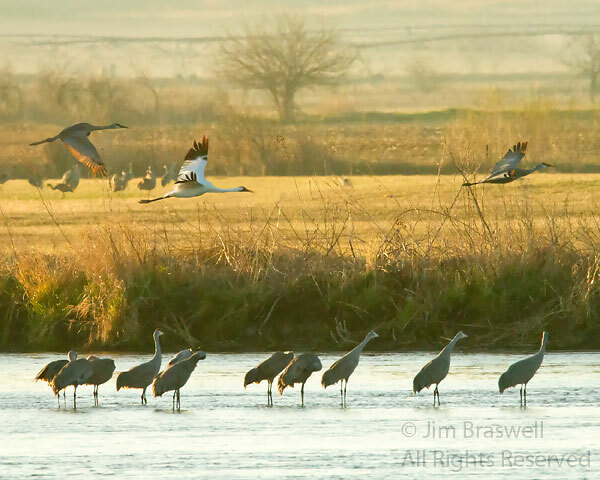 My last visit to the Platte River was many years ago, probably in the late 1990's, when I traveled there to photograph the spectacle of the Sandhill Cranes. I was especially excited to put together this 2012 trip since I'm now using digital cameras and have much longer/higher quality lenses to work with. 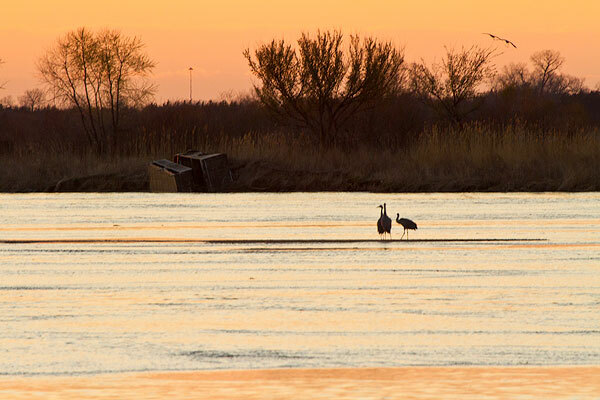 Migrating Sandhill Cranes are a real people draw, and seeing the arrival of the cranes is always a pleasant sight to Nebraska towns along the Platte River, especially Kearney and Grand Island, where a majority of the cranes reside during their migration stop. 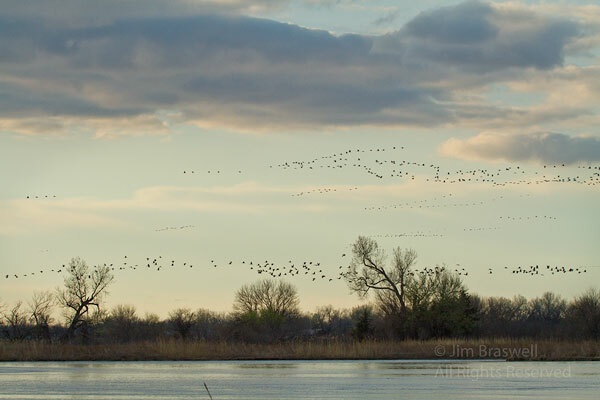 People from all over the world visit this area to watch the 500,000-600,000 Sandhill Cranes that call the Platte River home for a few weeks. 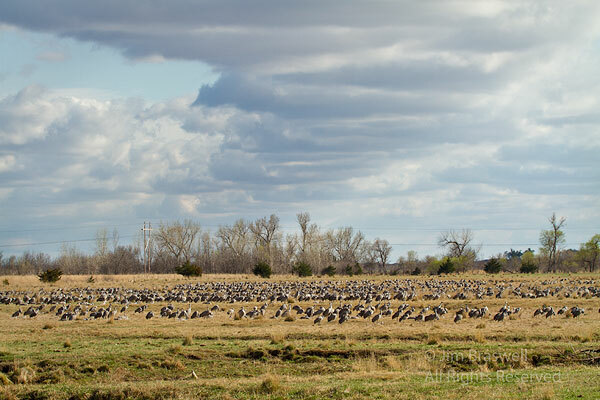 Kearney has even proclaimed itself "The Sandhill Crane Capital of the World" and features a "Crane Watch Festival" every year. 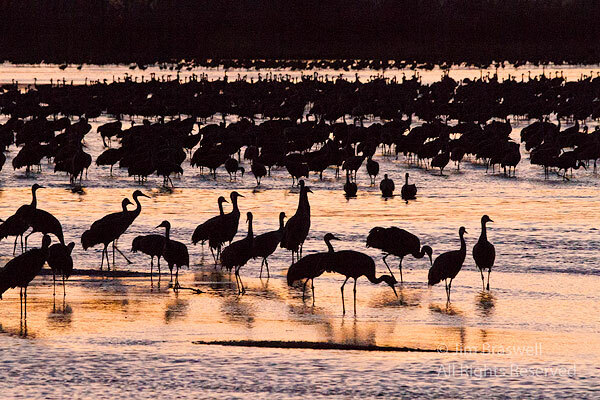 Being a nature photographer, I usually try to avoid these large gatherings of people, but on this trip I scheduled my time so that I would be at the festival for a couple of days, just to experience the entire spectacle. Here are a few of my thousands of images I made during those 5 days. 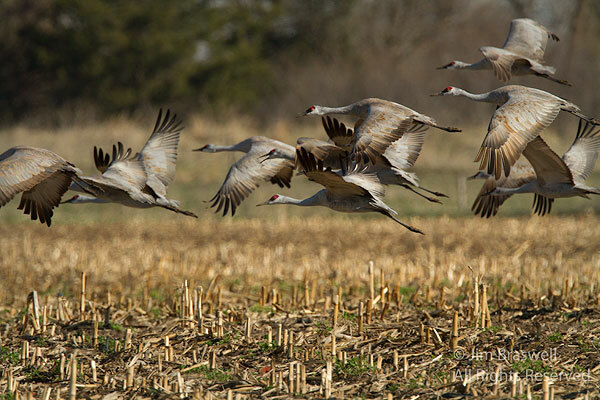 Within an hour after sunrise, the cranes head to nearby fields and pastures, where they feed on corn dropped from last season's harvest, and any insect they can forage with their sharp bills. ... and the cycle continues ... for 3-5 weeks! 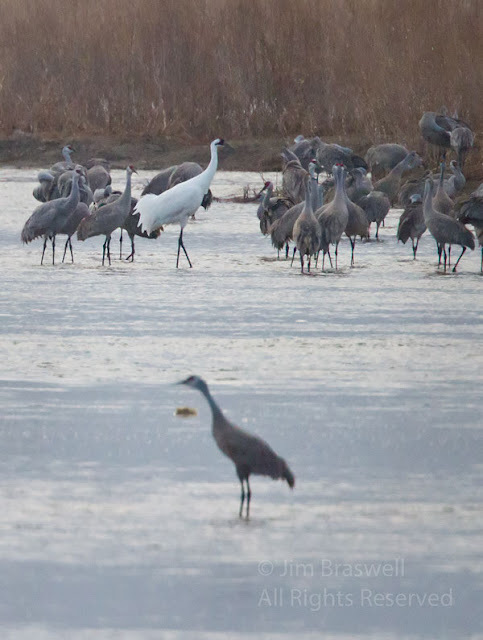 This lone Whooper was apparently orphaned and is being raised by Sandhill Cranes. 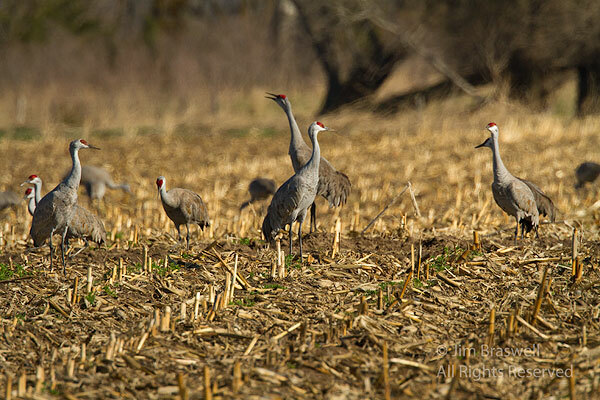 I was told this was the fourth year he has stopped by, always with a small group of Sandhills. Lovely, isn't he? And his white feathers really stand out against the Sandhills' gray feathers. One has to wonder if he/she will ever meet up with another Whopper to settle down with! 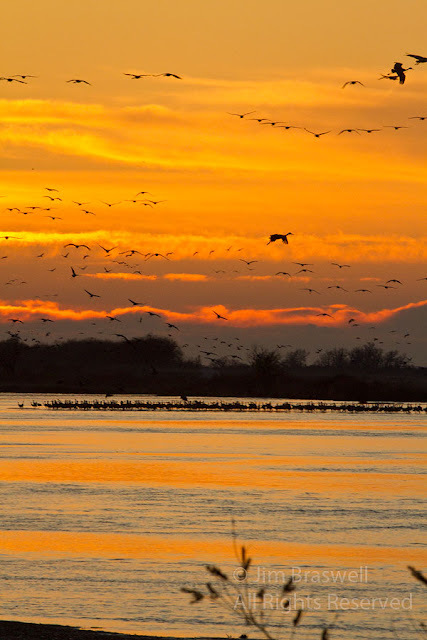 Beautiful photos and excellent post! Looks like an amazing experience! Thank you, Tammy. Yes, quite an experience ... especially when thousands in the air or in the river, and everyone being vocal at the same time! 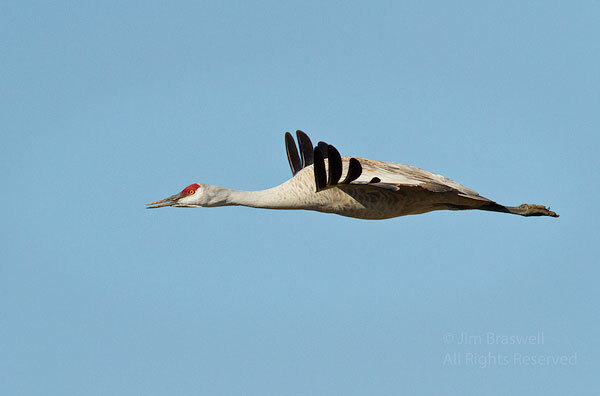 Great photos of this special cranes and a nice story Jim. Magnificent Jim what a spectacle! 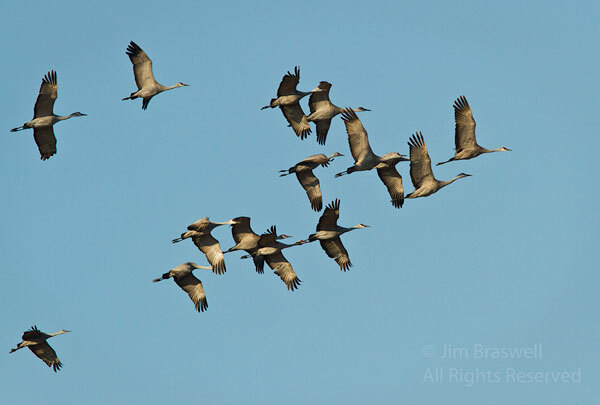 How they don't all crash into each other in those massive take-offs may be one of natures greater mysteries. These are all nice shots but I really love the sunset shots! Looking forward to their arrival here in Palmer, Alaska. Please scoot them right along! Fantastic images! These are lovely! Oh my goodness, Jim, you have outdone yourself ... if possible! Exceptional post! What a glorious experience for you. I would love to see such a beautiful spectacle. Magnificent photographs ... each and every one of them! 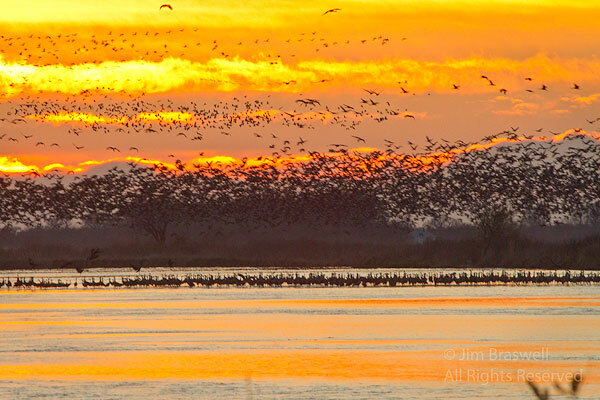 Wonderful series of images Jim. My favorite was the last photo on the post. 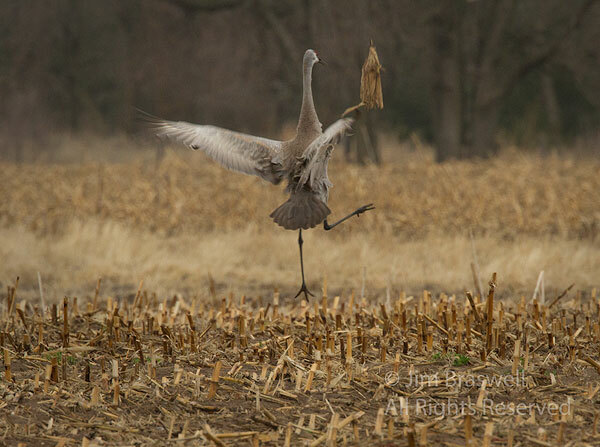 What a great set of photos, Cranes are difficult to approach! The ambiance is beautifully rendered! 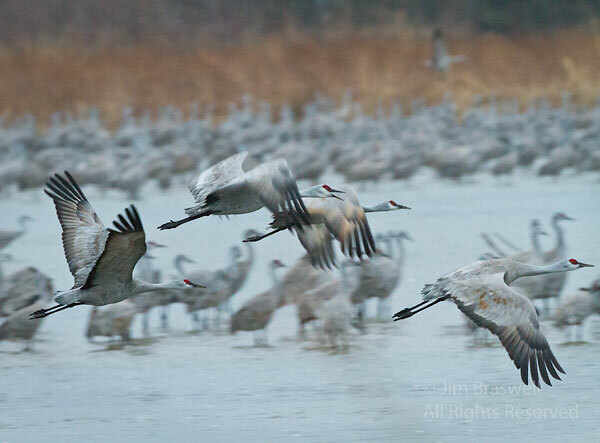 Reminds me of the Cranes wintering half an hour from where I live: it took me back a few weeks ago! Amazing pictures. Love the group shots. Excellent! 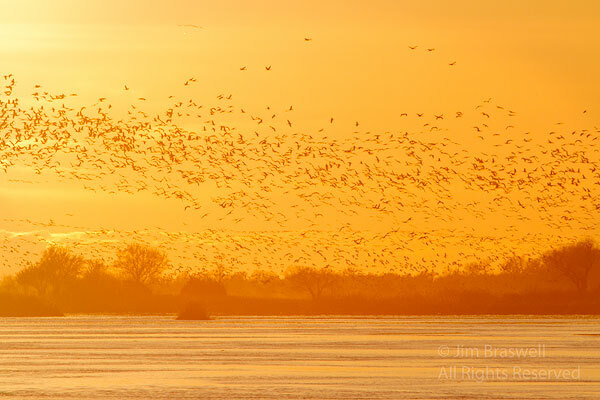 Superb post and photos Jim. 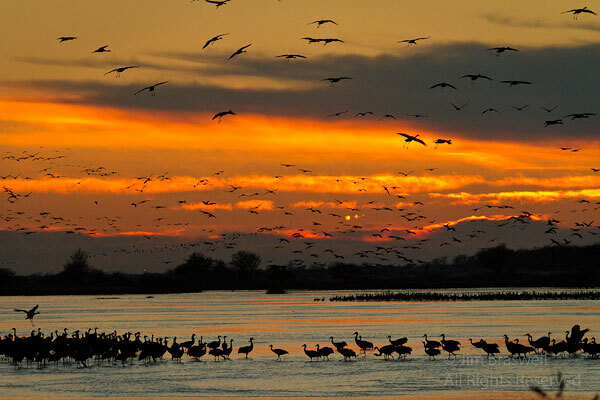 The numbers are amazing to me, I have never seen so many birds, awe-inspiring.